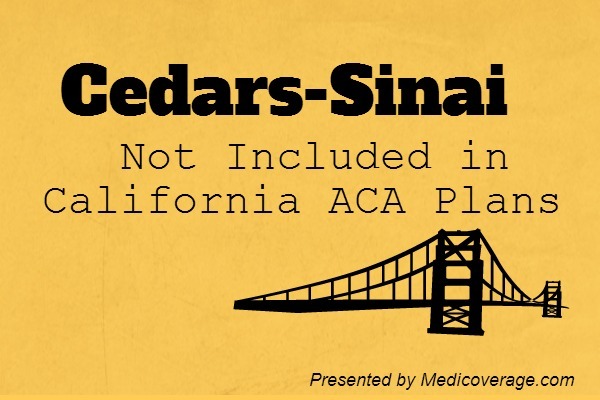 Cedars-Sinai is a world-renowned hospital in Los Angeles, however none of the new Affordable Care Act plans in California have the hospital in-network. The new metal plans are known as the ObamaCare Bronze, Silver, Gold, and Platinum Health Plans. Why is ObamaCare leaving a world class hospital out? Well, it’s not ObamaCare it’s the insurance companies who are trying to keep costs down. Cedars-Sinai is one of the most expensive hospitals in the world, and by limiting networks in California insurers are able to keep premiums lower. Even though Health Net is attempting to bring in Cedars in its Los Angeles region plans, the insurance company has stated that the new metal plan policyholders will be limited to 36% of their non-ObamaCare plan members. Advocacy groups are concerned the limited networks will stop patients from getting appropriate care. California has stressed that 80% of hospitals and physicians are still covered under the new plans, however each insurer’s plan is still in a tight network. Grandfathered plans (plans enrolled in before March 23, 2010) are exempt from these limitations. Also plans purchased outside of the Health Insurance Marketplace may be exempt. There are plans available now that have a policy end date of December 31, 2014, which may include Cedars as one of their hospital options. To learn about plans available now or the new metal plans call 800-930-7956 or contact Medicoverage. Will Cedars Sinai Hospital accept any ACA plans for 2015? Thank you. Great question! Cedars has now contracted with numerous providers for 2015 but not ALL. Click here to see the list of insurance providers working with Cedars-Sinai.